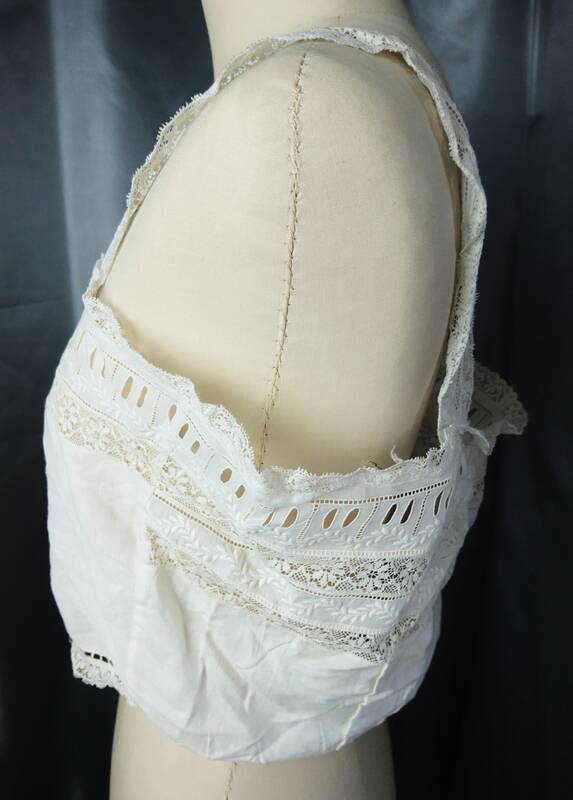 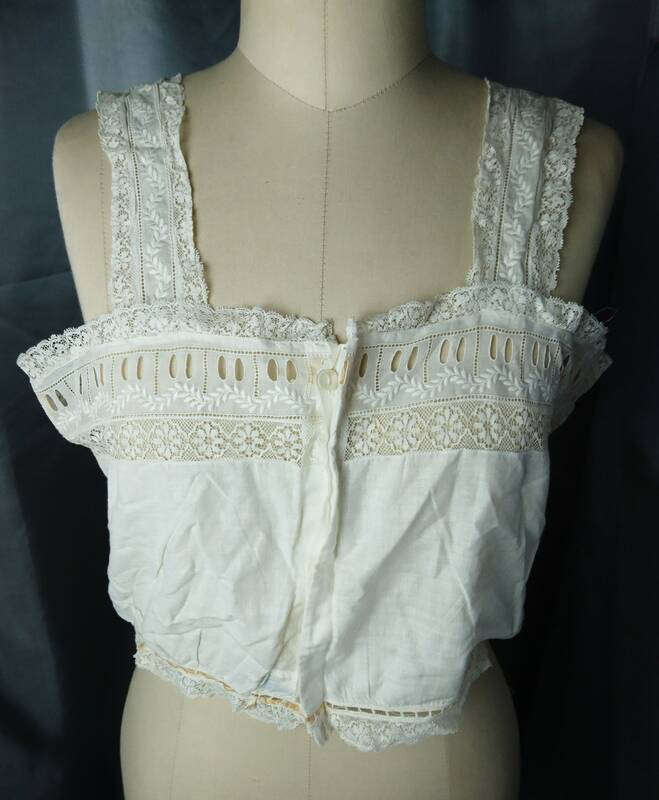 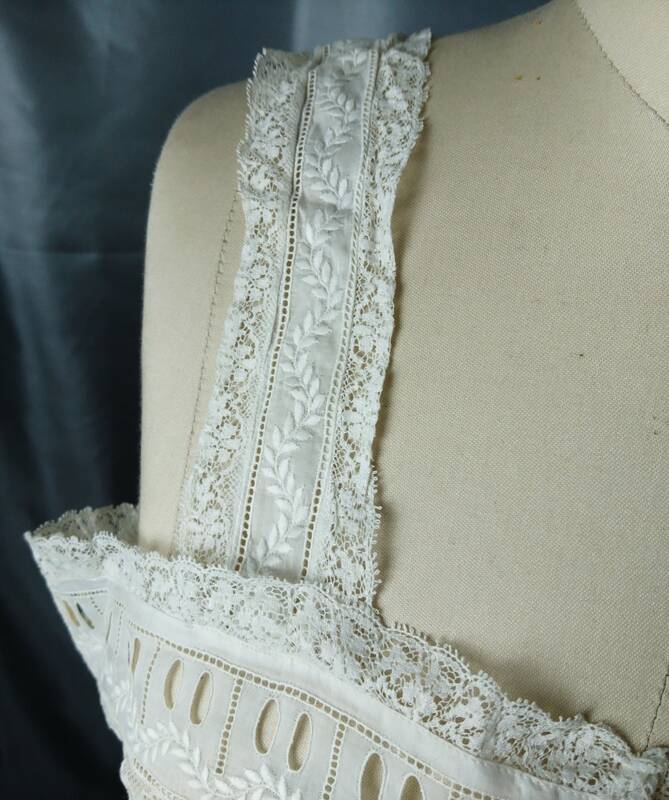 A very pretty early Edwardian camisole. 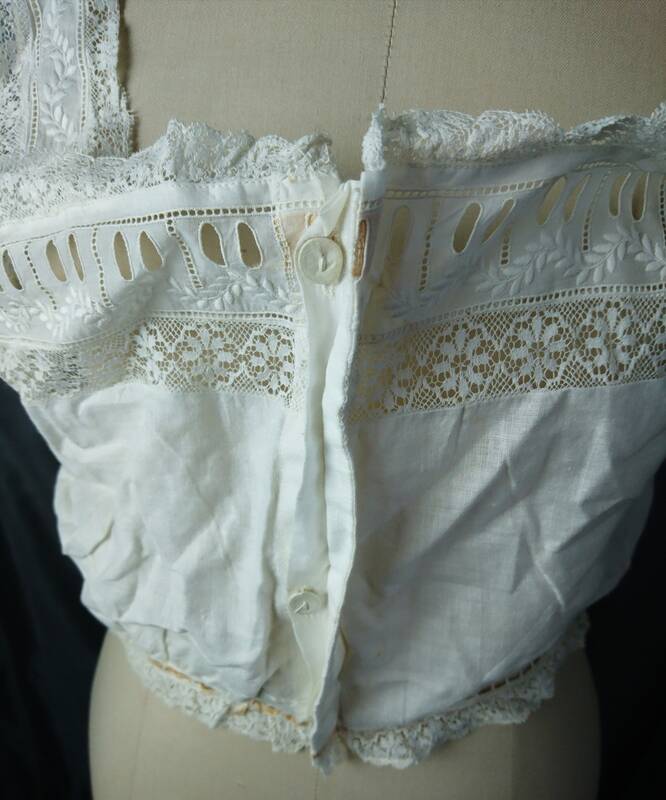 Made in England from fine soft cotton with batiste embroidery and cotton lace. 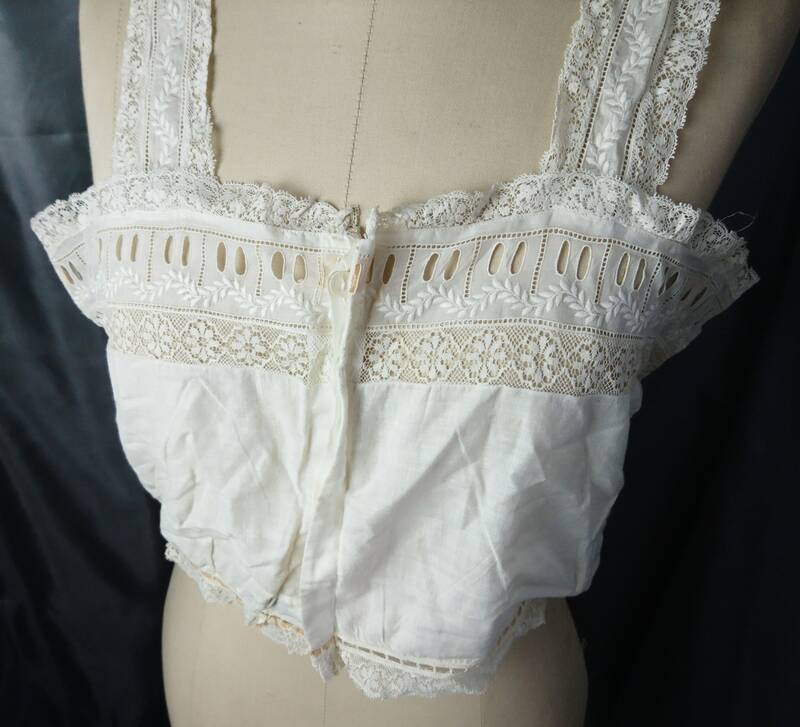 It has wide lace edged straps a squared neckline and buttons down the front with small fabric covered buttons which are concealed. 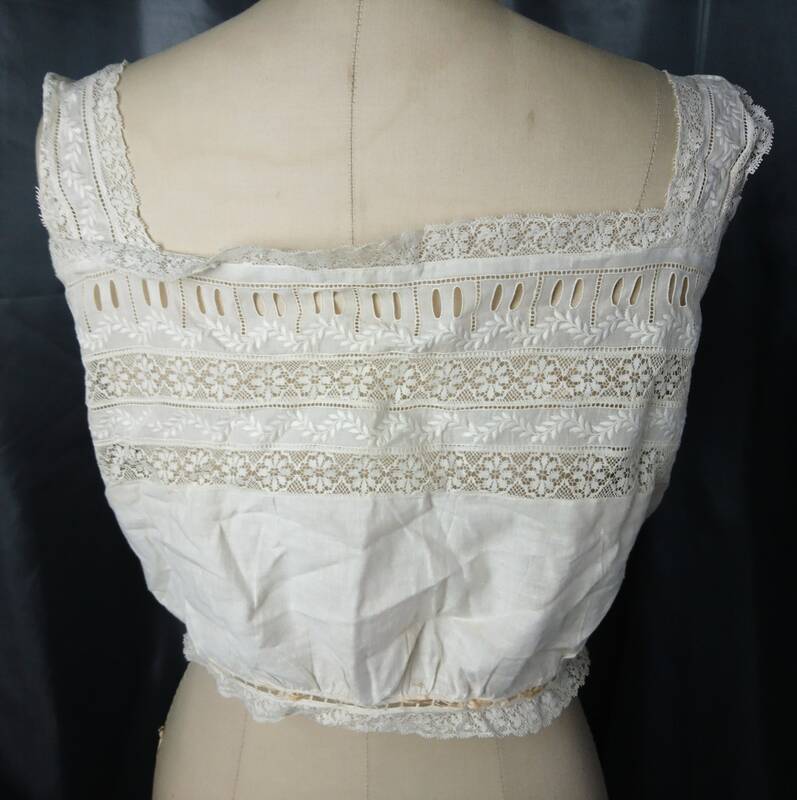 It has a pretty panel of fine floral lace running across the bust and to the back and the hem is trimmed in lace too. 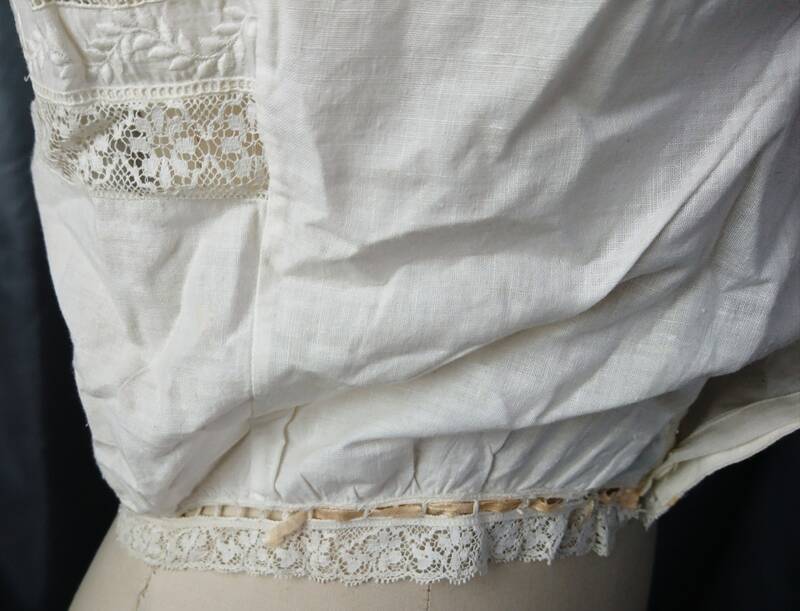 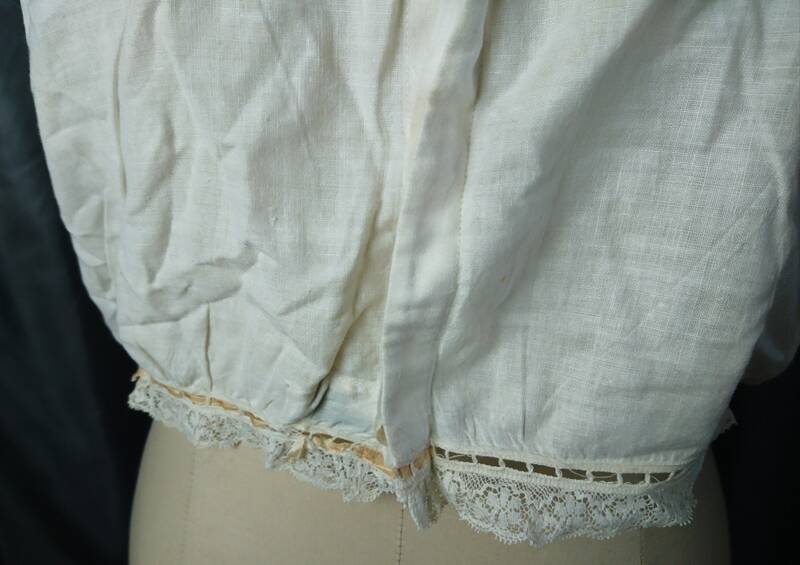 It used to have a peach silk ribbon threaded through the top and bottom to pull it tight to the body however this has crumbled and broke away, there are a few remnants still in the bottom but this could be re-threaded with the ribbon of your choice. 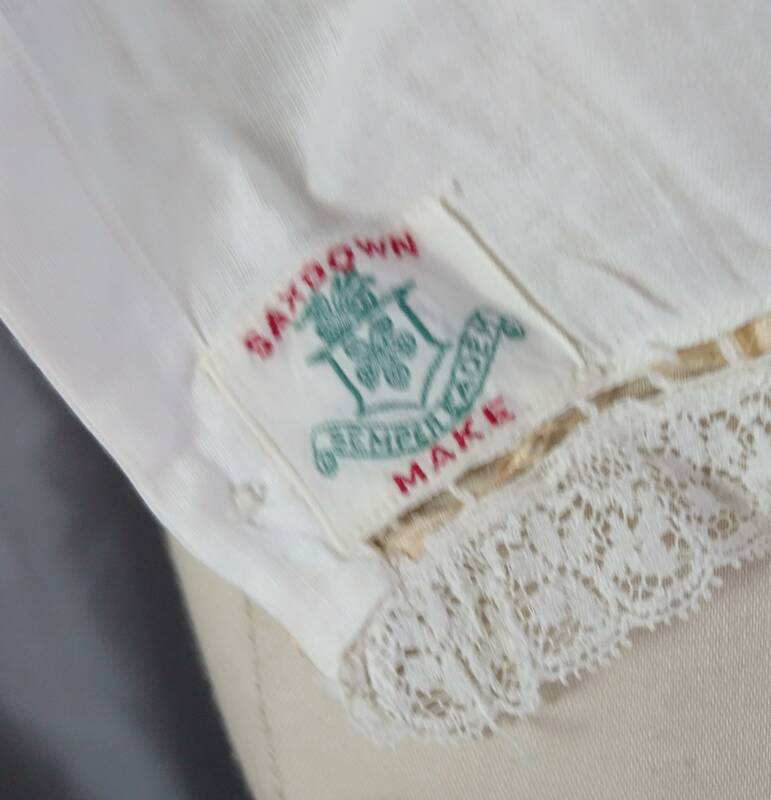 It is labelled inside which is uncommon to find, it is a Saxdown label but I am yet to find any information on the label. 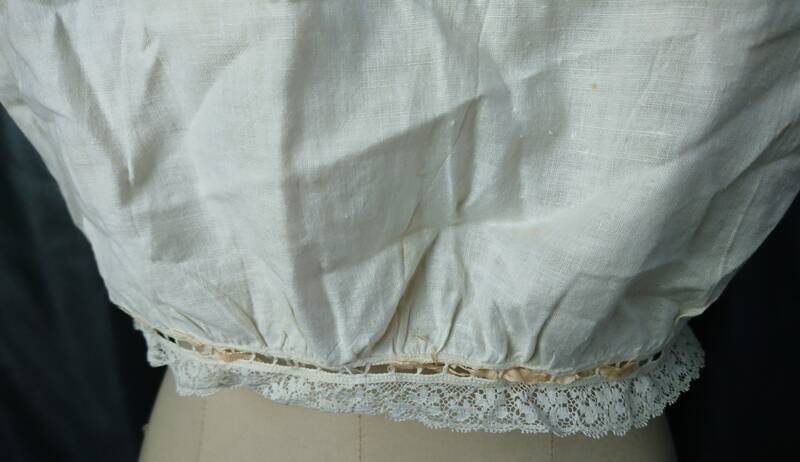 Good condition, obvious ageing, silk ribbon worn away.